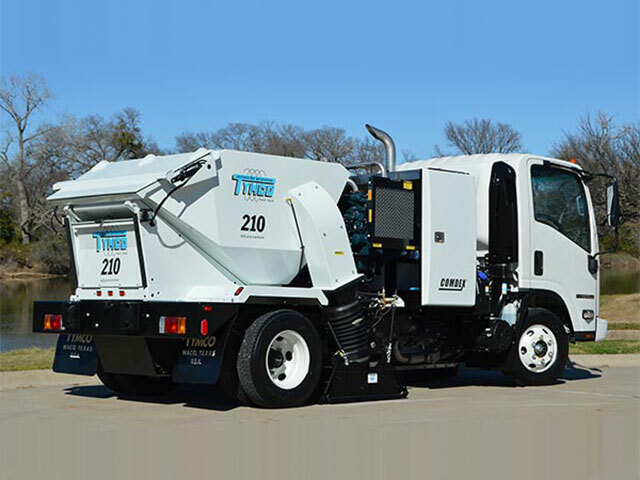 If you’re looking for new street / parking lot sweeping trucks, you’ve come to the right place. We offer the best product lines in the market. Our equipment managers know their products and can help you analyze your needs to find the perfect piece of equipment for your budget. Contact us today to set up an equipment demo or to speak to a member of our team about any cleaning equipment. Built to provide high performance, low maintenance, and the perfect size for parking deck or large lot. Picks up everything including leaves, trash, sand, and rocks. Dust control and piggyback hopper. 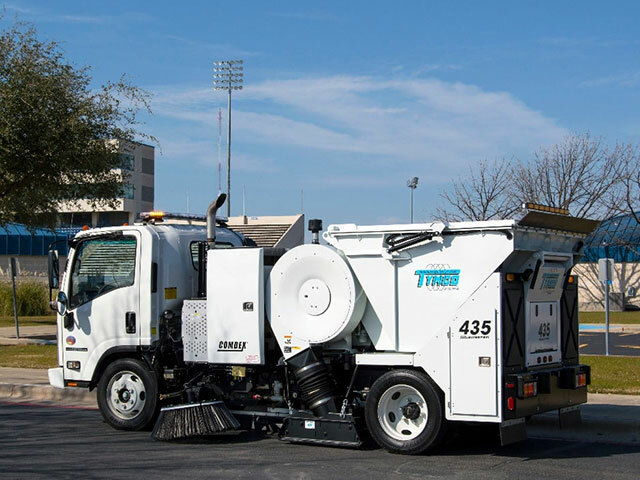 The versatile Tymco 435 allows your operators to sweep both streets and parking lots making it a highly cost-effective piece of equipment. 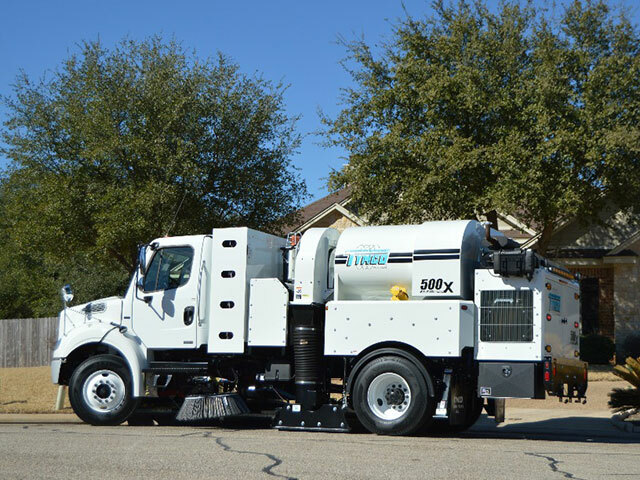 It works well in municipalities and in areas where sweeping companies handle both streets and parking lots. The Model 500x provides an adjustable dump height so your drivers can dump the hopper contents into containers from 2 feet to 11 feet tall thereby allowing the operators to have more flexibility when it comes to performing their job. The Model 600 is perfect for any sweeping job. 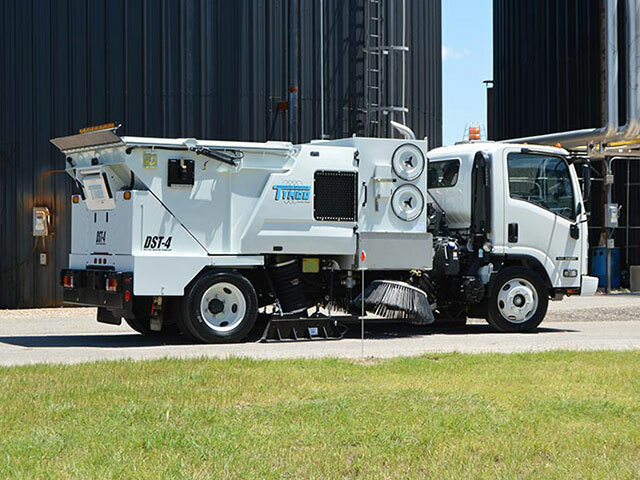 From public streets to construction clean up, this sweeper can do it all. TYMCO’s Regenerative Air System combines reliability, efficiency, and the ability to expel clean air so everyone can breathe easy. 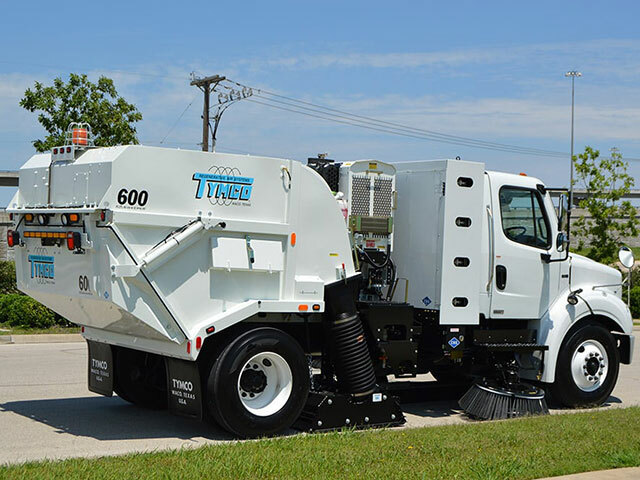 This mid-size street sweeper, TYMCO’s DST-4, is a dustless sweeper meaning it can pick up even the tiniest particles and does not blow them back into the environment. With the DST-4 your company can sweep all year. 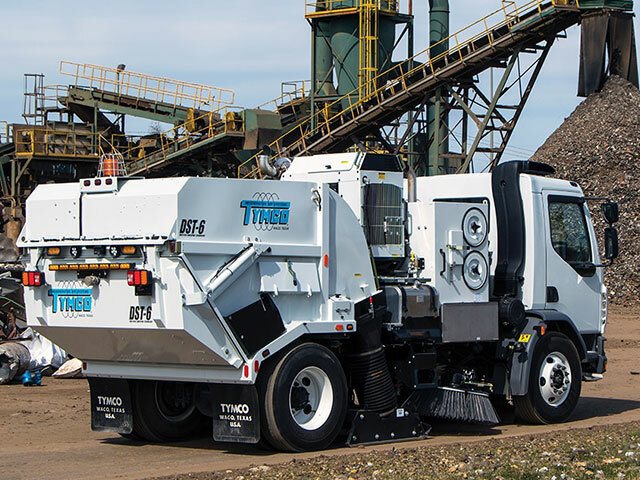 TYMCO’s DST-6 is a full-size, dustless sweeper with the patented Regenerative Air system so your company can use it year round. This makes the DST-6 a highly efficient machine that is environmentally friendly and removes even the tiniest dust and dirt particles.